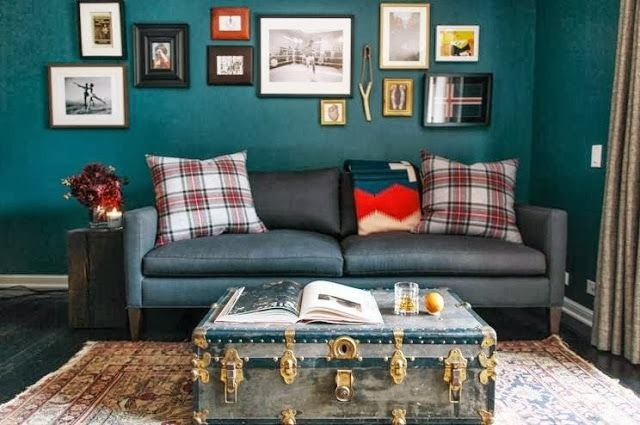 Once the holiday season hits, I can't help but be drawn to plaid prints in both clothing and home decor. Something about plaid is just so cozy, and warm, and Christmas-y to me. It evokes the feelings of a warm fire, cuddling up with loved ones, and sharing some hot chocolate. Anyone else feel the same way?? That being said, plaid can be pretty all year round. But, I'd suggest using it sparingly in accent pieces that can be rotated out if desired. 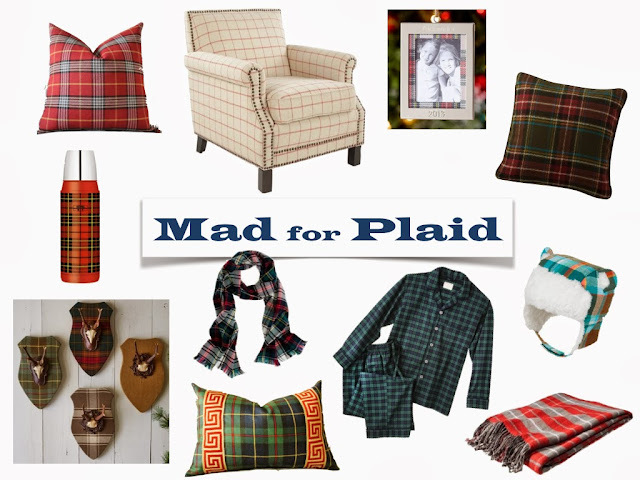 Anyone else out there with an affection toward plaid? Is it a seasonal obsession, like mine? Or, are you always a glutton for plaid? The very first couch I bought, at 19 was plaid. :) Reds and greens. What was I thinking?! Now, the plaid in my life is in shirt form.